Four teenagers climb to the top of a towering pole, fasten themselves to ropes and throw themselves, headfirst and backwards, into the air. No, it's not the latest social media challenge. 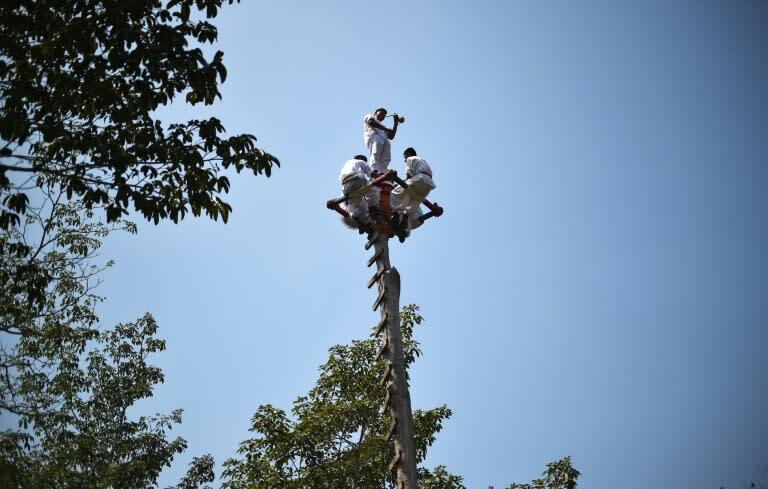 It's the "danza de los voladores," the dance of the flyers, a more than 2,500-year-old ritual practiced by the Totonac people of central Mexico, who are fighting to keep the tradition alive by giving it some modern tweaks. Spinning in widening circles around the pole as they fly upside-down through the air, the four dancers slowly descend to the ground, dressed in white tunics, red pants and conical hats with rainbow-colored streamers that trail across the sky. A fifth dancer balances atop the pole -- a 30-meter (nearly 100-foot) tree trunk -- playing a festive tune on a reed flute while beating a small drum. Every aspect of the tradition has deeper meaning for the Totonac, who use the dance to ask the gods for rain and fertility. The four flyers represent the four cardinal points of their cosmology, and the fifth dancer the center. The 13 circles they spin around the tree trunk, multiplied by four, equal the number of years per cycle in their ancestors' highly advanced calendar: 52. And their colorful streamers represent the rainbow that appears after the rain. "The dance is an offering that the Totonac people invented to end a terrible drought. The job was given to five chaste young men, who climbed to the top of the tallest tree and threw themselves off like birds," says Cruz Ramirez, 58, a veteran flyer. But in the year 2019, leaping backwards off a 30-meter pole is not for everyone -- one reason why Ramirez and the other grandfathers who are the keepers of the tradition decided they had to bring it into the modern world. 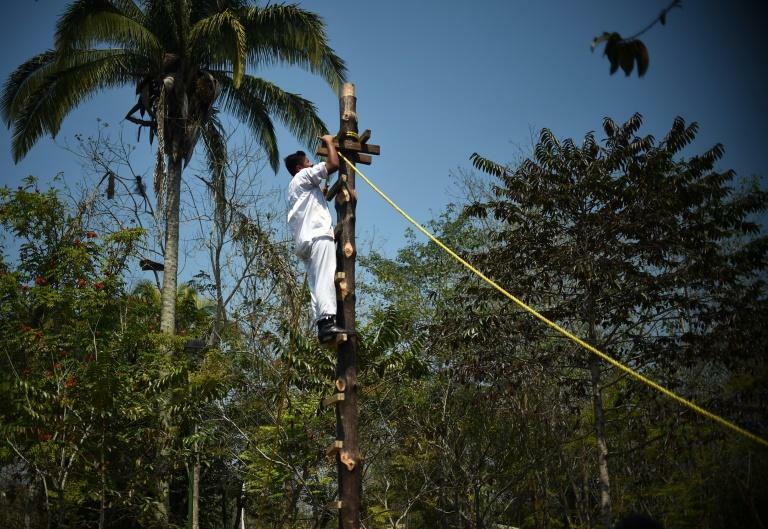 They founded the Papantla Flying School, where young voladores now learn the art from professional teachers, with benefits such as life and accident insurance, legal safeguards and labor laws to protect them when they graduate. "We were thinking about whom we would leave this heritage to, trying to make sure the ceremony wouldn't be lost," says Ramirez. "Ten years ago, we didn't have life insurance, accident insurance, we had absolutely nothing." But the essence of the ritual -- which was named to UNESCO's list of the world's Intangible Cultural Heritage in 2009 -- remains. "Young people come to the school to learn to value the ritual again, as something essential in life, to integrate the spiritual, the mental and the emotional," says Francisco Hernandez, 51, another teacher. 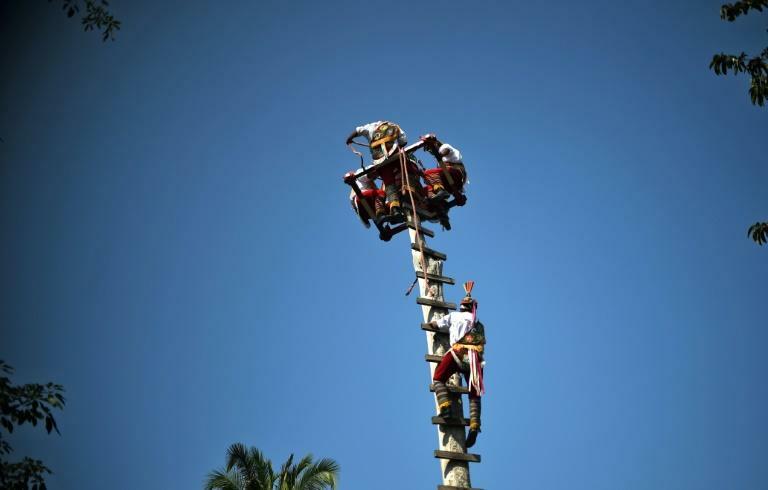 The tradition is on full display every year around this time -- the spring equinox -- at the Tajin summit, a cultural festival held in the town of Papantla, in Veracruz state, which wraps up Sunday. The Papantla flyers have also toured the world, performing in Britain, France, Switzerland, Italy and the United Arab Emirates. Thanks to their persistence and their lobbying efforts, they now have life and accident insurance that protects them in Mexico and abroad, under an agreement reached with the state government in 2009. Eugenio San Martin is one of the students at the flying school. The shy 14-year-old comes from a family of voladores: his father and grandfathers were also flyers. He is studying to be a "caporal," the dancer who balances atop the pole while playing the flute. "I started when I was seven, because I liked it," he told AFP. "The first time I climbed the pole, I was really scared. But the teacher climbed up with me." The school welcomes around 100 new students each year, ages eight to 10. But only about 20 in every class have what it takes to become professional flyers, says Hernandez. "Not everyone has the gift," he says. "When a child has that power, you can see it in his eyes." There is no set time period to learn the ritual, says Hernandez. At a minimum, it takes 10 years. But in reality, "you never stop learning it," he says. "Ironically, flying is the easy part. What it's really all about is learning the symbolism of the tradition."